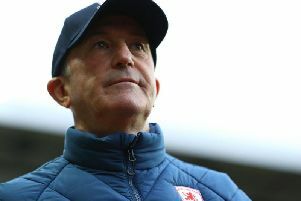 Boro boss Tony Pulis said he would sit down with owner Steve Gibson to discuss targets soon - and reports suggest that Kolinger could be one name on his wishlist. The 24-year defender has impressed in the Croatian top flight this season and his fine form has attracted interested from several English clubs, according to the Sun. Brighton and Reading are also reportedly interested in the centre back, who was born in Germany but has represented Croatia at international level. Kolinger has two years left to run on his deal at Lokomotiva Zagreb, but could be available for a cut-price £1million fee this summer. And with Ben Gibson linked with a move away from the Riverside Stadium this summer, Pulis could be keen to swoop for Kolinger as he looks to build a side that can earn promotion to the Premier League next season.